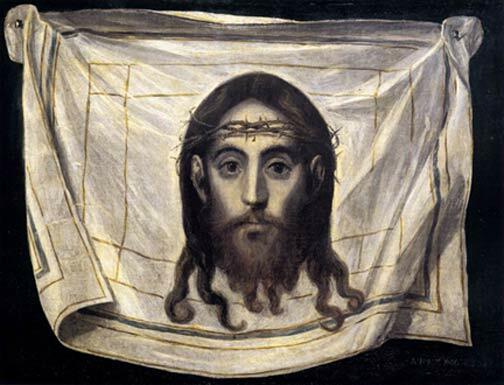 While religious have shown devotion to Our Lord Jesus Christ in His Holy Face for centuries, the actual Holy Face Devotion was established in the 19th century. In a series of revelations, Our Lord told Sister Mary of Saint Peter, a French Carmelite nun in the 1840’s of His wish for this Devotion in reparation for blasphemy and the profanation of Sundays. Devotion to the Holy Face of Jesus includes some special prayers, such as the Golden Arrow, which Jesus taught Sister Mary. He prized this devotion so much he made these promises for those who would honor His Holy Face. 1. All those who honor My Face in a spirit of reparation will by so doing perform the office of the pious Veronica. According to the care they take in making reparation to My Face, disfigured by blasphemers, so will I take care of their souls which have been disfigured by sin. My Face is the seal of the Divinity, which has the virtue of reproducing in souls the image of God. 2. Those who by words, prayers or writing defend My cause in this Work of Reparation I will defend before My Father, and will give them My Kingdom. 3. By offering My Face to My Eternal Father, nothing will be refused, and the conversion of many sinners will be obtained. 4. By My Holy Face, they will work wonders, appease the anger of God, and draw down mercy on sinners. 5. As in a kingdom they can procure all that is desired with a coin stamped with the King's effigy, so in the Kingdom of Heaven they will obtain all they desire with the precious coin of My Holy Face. 6.Those who on earth contemplate the wounds of My Face shall in Heaven behold it radiant with glory. 7.They will receive in their souls a bright and constant irradiation of My Divinity, that by their likeness to My Face they shall shine with particular splendor in Heaven. 8. I will defend them, I will preserve them and I assure them of Final Perseverance.